My name is Attila Szabo and I’m a Product Owner on the 3ds Max team. Today, we’re excited to be releasing 3ds Max 2018.4, our fourth update since the release of 3ds Max 2018 in April 2017. In this update, we’ve focused on improving 3ds Max Fluids, giving you better feedback as well as added presets for certain fluid types, making it easier to add fluid simulations to scenes. We’ve updated the 3ds Max Interactive VR engine with the addition of IES-compliant physical lights and improvements to Level Sync when using Max with V-Ray. 3ds Max Batch has been redesigned to deliver a simpler and more efficient automation experience. And last but not least, there are over 100 fixes focusing on customer-reported issues with viewport, Physical Camera, modeling, UI and 3ds Max Interactive. 3ds Max Fluids has been updated with usability improvements based on your feedback. As the simulation is being run, Max Fluids now displays the frame number, instead of the percentage of completion, as well as other information about the simulation from the output window. Other improvements include the ability to apply UVs to the output mesh, setting an initial simulation state, or removing unwanted time from the simulation. 3ds Max 2018.4 now includes fluid presets, making it easier to add fluid simulations to a scene. The included presets consider viscosity from a wide range of common fluid types, from thin liquids like water to thicker liquids like chocolate syrup, honey, and ketchup. Users can also create and save custom settings as presets to more quickly re-use desired fluids in other scenes. 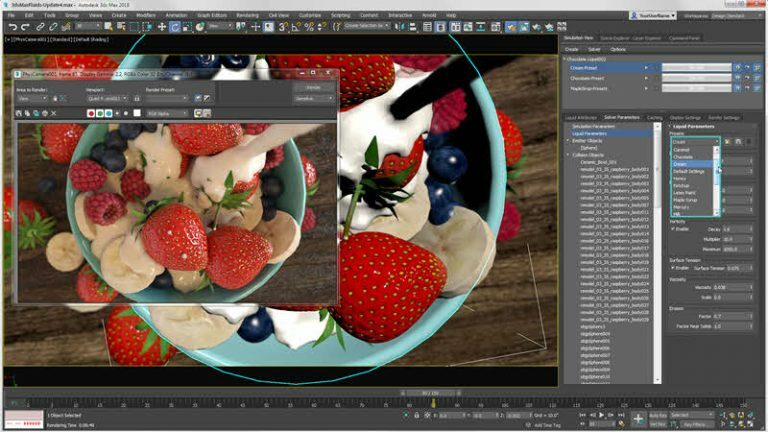 You’ll notice improvements to 3ds Max Interactive, the VR engine added previously in the 3ds Max 2018.1 update. 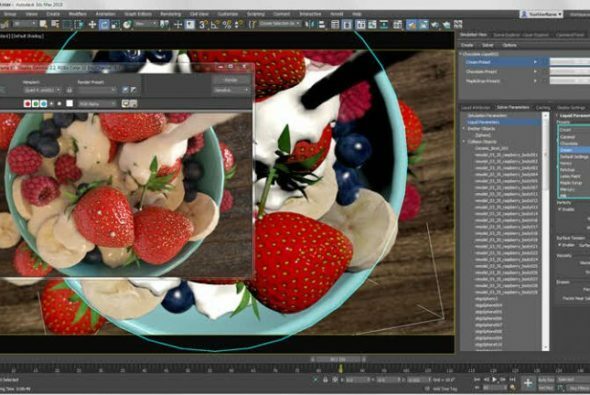 3ds Max Batch has been redesigned to provide a simpler and more effective experience. It is now a true command line productivity tool, with logging and error reporting, it supports user-defined messages in the output, and allows users to inject data in the automation process from the command line. Be a part of the conversation! Visit the 3ds Max Ideas page, submit feature requests, vote on existing requests, and discuss with other users at 3dsmaxfeedback.autodesk.com.